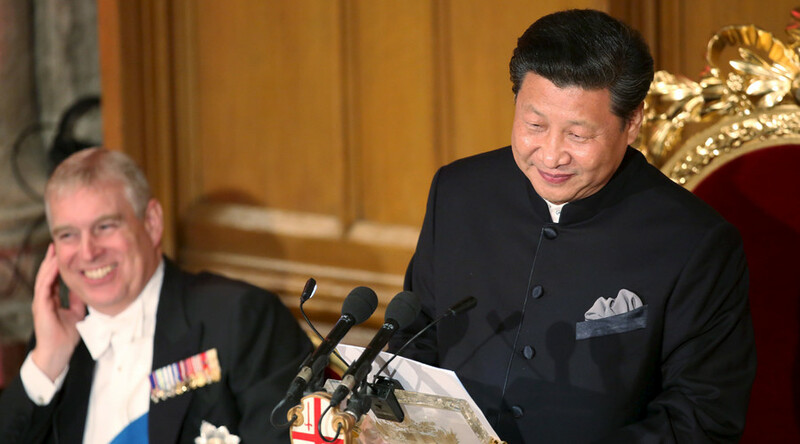 Chinese President Xi Jinping has told Britain he backs a strong and united European Union in his biggest public intervention on the subject to date. It comes ahead of a referendum on Britain’s continued membership of the bloc. On the final day of Xi’s UK state tour, China’s Foreign Ministry released a statement expressing the nation’s interest in building stronger economic ties with a unified EU. The statement comes as nearly £40 billion (US$61.4 billion) worth of trade deals are announced between Britain and China as part of a new economic relationship. “China hopes to see a prosperous Europe and a united EU, and hopes Britain, as an important member of the EU, can play an even more positive and constructive role in promoting the deepening development of China-EU ties,” the statement quoted Xi as saying. Xi is due to end his visit on Friday with the announcement of new air travel links between Manchester and China. His public statement about Britain’s relationship with the EU is rare intervention in foreign affairs. The country usually abstains from commenting on the internal affairs of other countries. The statement echoes sentiments voiced by China’s Foreign Ministry earlier in October. But Chinese diplomats say Britain’s potential exit from the EU worries Beijing, which believes free-market supporting Britain strengthens the EU, which China sees as an important ballast to American market dominance. Prime Minister David Cameron is seeking to hold a referendum before the end of 2017, but there has been speculation he may call one as early as March next year. He will seek to renegotiate the terms of Britain’s membership before the vote. Recent polls have suggested an growing number of British citizens support an exit from the EU. The refugee and migrant crisis over the summer contributed to a more negative view of Europe’s open borders system. However, the new Chinese/British economic partnership has not been universally welcomed. The Campaign for Nuclear Disarmament (CND) warned that the construction of new nuclear plants would create a target for terrorists and increase the likelihood of nuclear proliferation, as the uranium could be used to develop weapons. The agreement will see Chinese state-owned General Nuclear Corporation (CGN) take a one-third stake in the £18 billion ($28 billion) construction of Hinkley Point C nuclear plant, majority controlled by French state-owned EDF Energy.